Business premium. The Dell Latitude belongs to the high-end business class and must meet the especially high standards of quality, functionality and expandability. Most professional users expect a good display, an adequate performance and solid mobility. 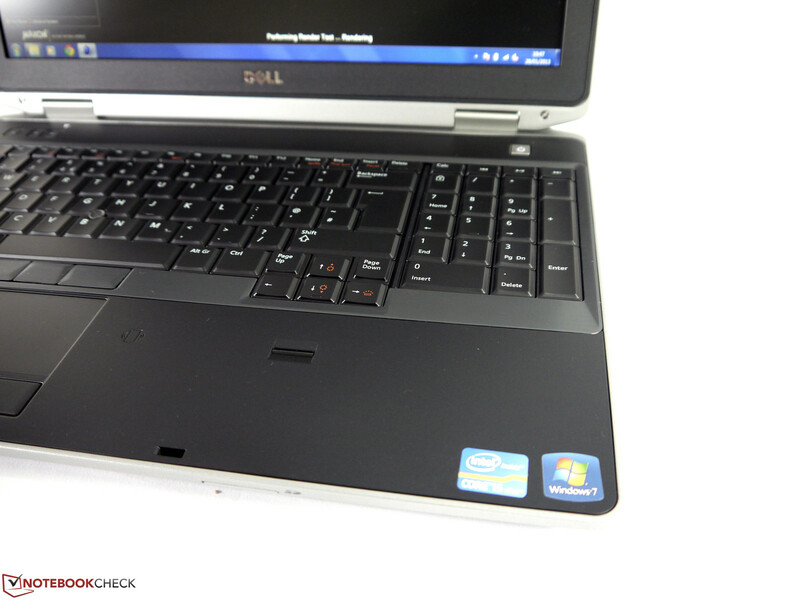 Our detailed review will show whether the current Dell Latitude E6530 is up to the task at hand. Dell's Latitude E6xxx series stands for high standards and has a similar target group as Lenovo's ThinkPad T-series and HP's EliteBooks. The professional notebooks, strictly designed for business users, also find fans in the demanding home users. Quality, warranty period and upgrade options are just some of the key points that sometimes greatly distinguish these notebooks from the comparable products of the mass market. The price for this "luxury" is viewed by some as high as well. 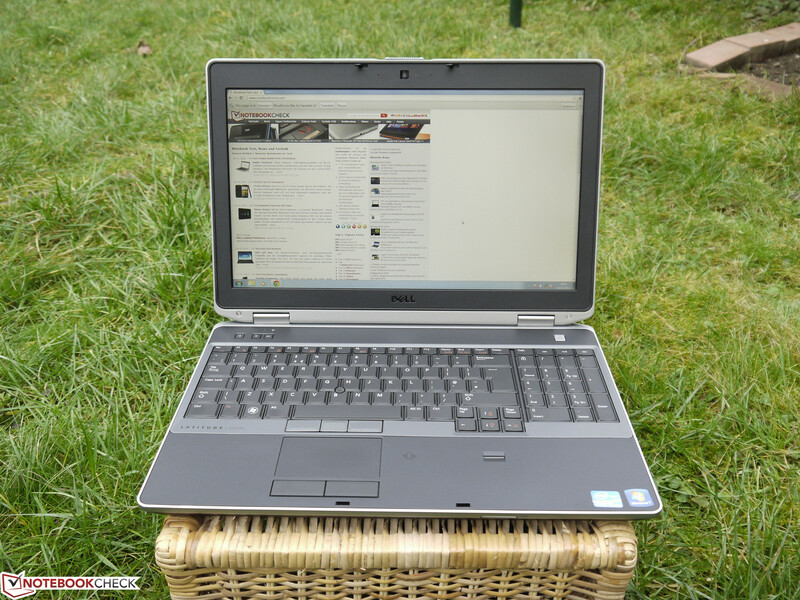 The lowest starting price that we found on Dell's online shop is 800 Euros (~$1085). That is excluding VAT of course. At first glance, the equipment you get for this price is rather poor: Intel Core i3-3110M, WXGA display, 4 GB RAM and a 320 GB hard drive. Windows 8 is available as an operating system, but Windows 7 dominates the options list and is also the usual choice of many companies. 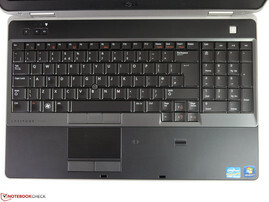 Thus the Latitude E6530 is not a bargain compared to other entry-level notebooks that you can find. Our test model has a Full HD display, an Intel Core i5-3360M CPU, 4 GB of RAM, a WWAN module and a 500 GB hard drive. Currently Dell sells this configuration for 1120 Euros (~$1514) excluding VAT, which means about 1340 Euros (~$1812) after tax. 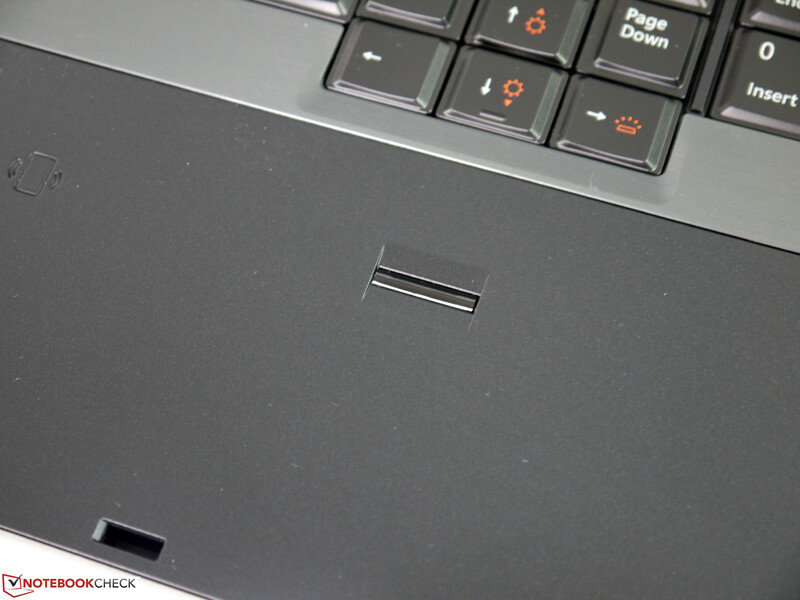 Nonslip edge for opening the display and the brushed metal surface. 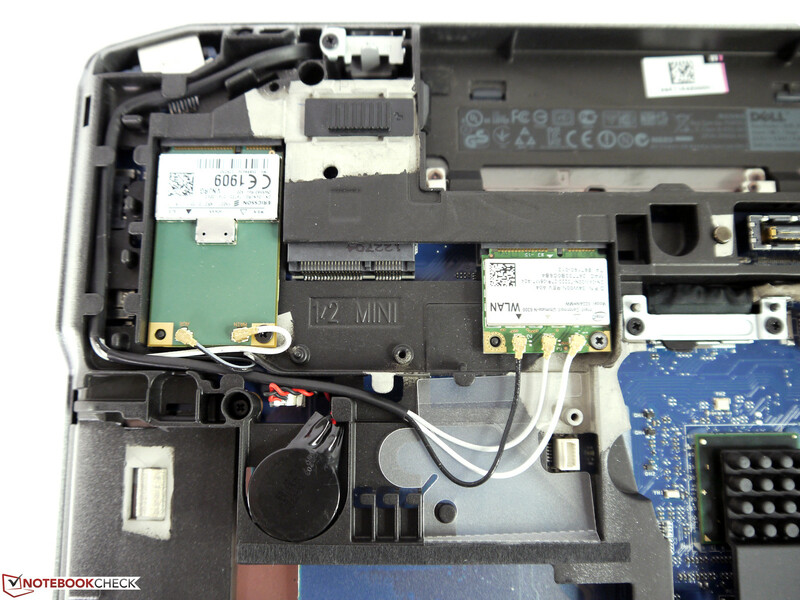 The casing of the Dell Latitude E6530 has changed little from the predecessor Latitude E6520. 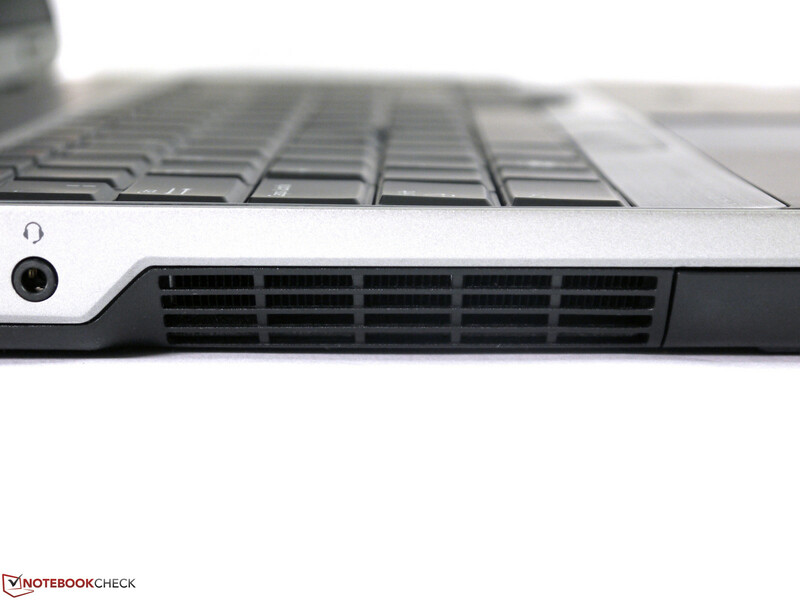 The Dell Tri-metal chassis impresses with high stability and lack of weaknesses. 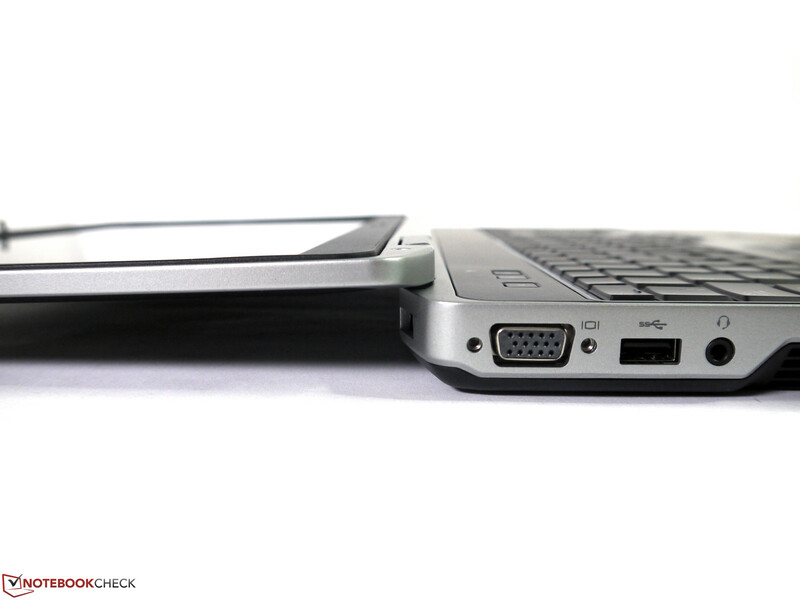 The model easily copes with the usual weak spots above the optical drive, the battery slot and the palm rest. There is a reason the notebook has passed the MIL-STD-810G U.S. military standard. But the durability of the case comes at the expense of its relatively high weight. At 2.86 kg (6.3 pounds) the Latitude E6530 is on par with other notebooks of the same class, but add some accessories and it comes close to the limit of what one would be willing to lug around all day. The workmanship is impeccable - even gaps, precisely fitting components and flawless surfaces. A small drawback is the slight teetering of the display, which the hinges cannot fully prevent. The lid is locked in the closed position with the classic double hooks. The surfaces are durable and give a high-quality impression. The silver-gray casing is conservative and ensures an appropriate appearance in the business environment. Perhaps this is the reason the orange keyboard frame was omitted in the current model. There have been some significant changes in the interface options. The 4-pin FireWire port has been completely removed. 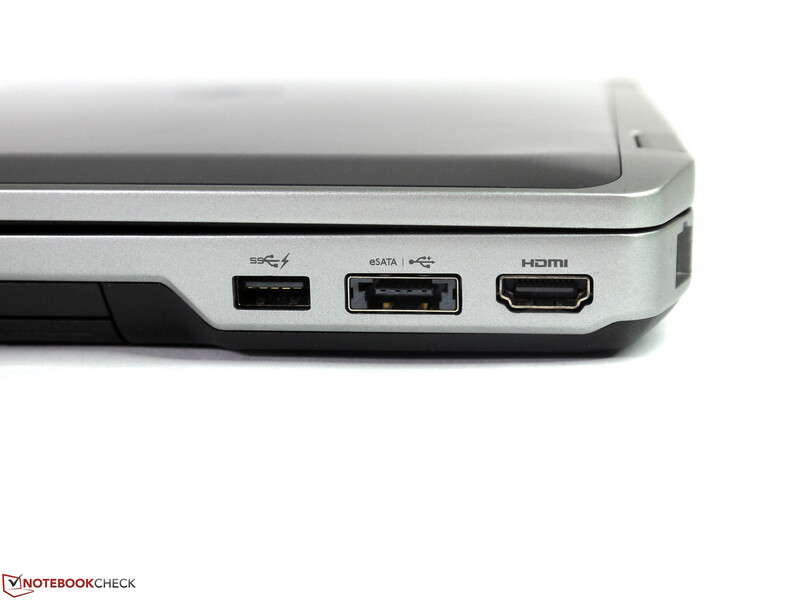 Instead, we have two modern USB 3.0 ports, conveniently divided on both sides of the notebook. Dell still equips their premium business Latitudes with an HDMI port. We were expecting a DisplayPort instead, because it supports significantly higher resolutions for external displays. Apart from that, most of the interfaces are located as far back as possible. Thus there are no limitations caused by the cables of the connected peripherals. The card reader is located at the front and is easily accessible. 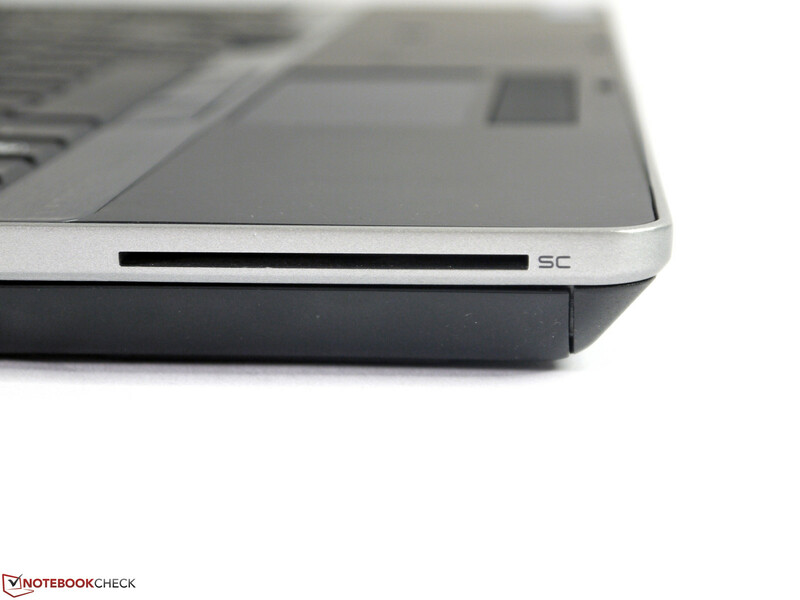 Additional ports and other expansions are possible via the ExpressCard/34/54 slot. 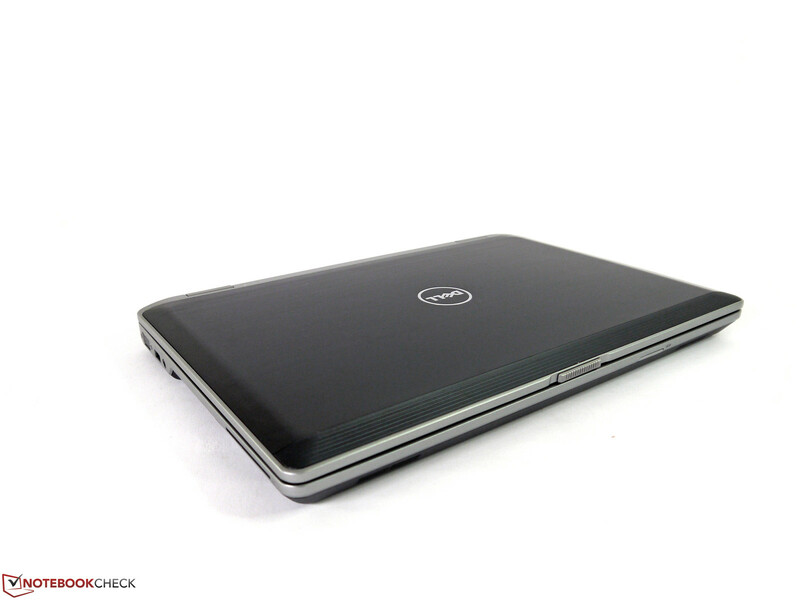 Our Dell Latitude E6530 is well equipped and has all that you can think of. Even the entry-level model comes with Intel's Centrino Ultimate-N 6300 WLAN module. It has three antennas and can use both the 2.4 GHz and the 5 GHz wireless bandwidths. Our test showed above average signal strength. In all models of the Latitudes E6530 series you will also find a Gigabit Ethernet port. While our test unit has an HD webcam, Bluetooth 4.0 and a WWAN module, all three of these features come at a surcharge and are not available with certain models. 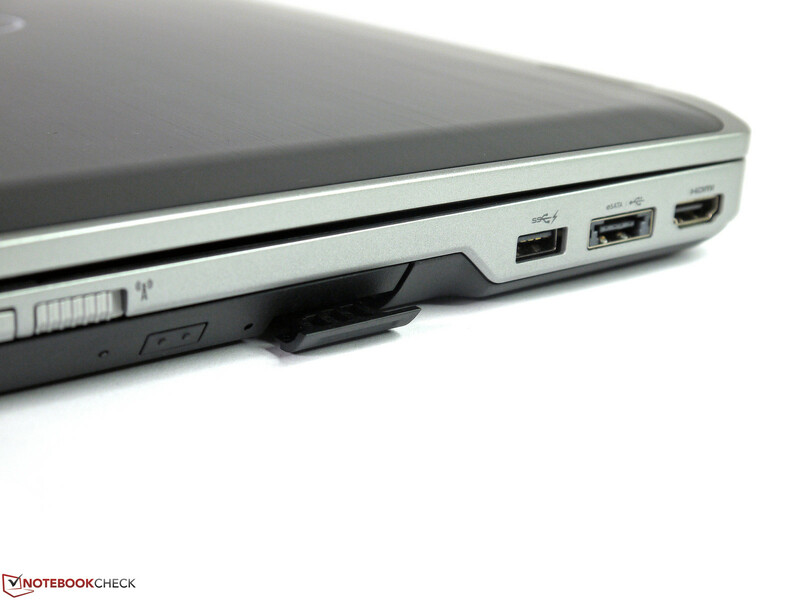 The Dell Latitude E6530 has a wide array of security features. Trusted Platform module, Intel Anti Theft/Computrace service, Smart Card reader, fingerprint scanner, BIOS password option and the usual Windows password protection should be enough to cover most security requirements adequately. 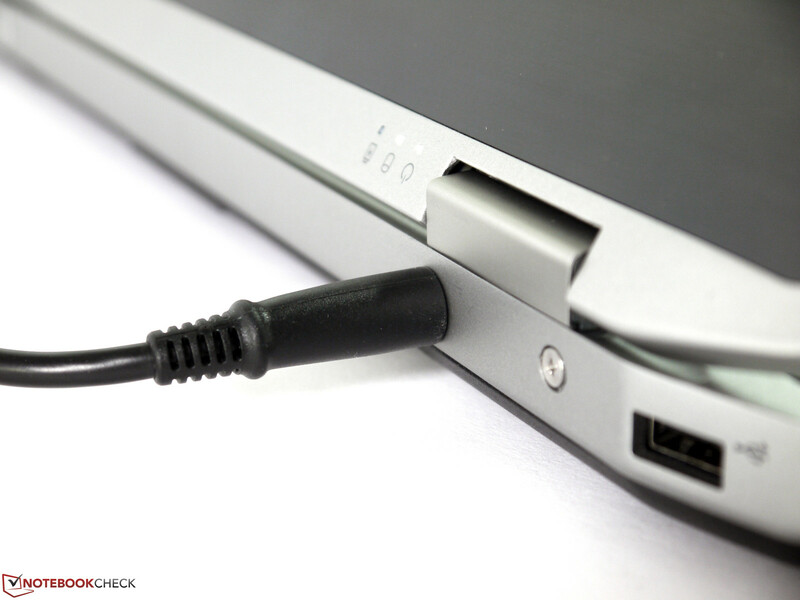 You can read more on notebook security in our FAQ article on security solutions. 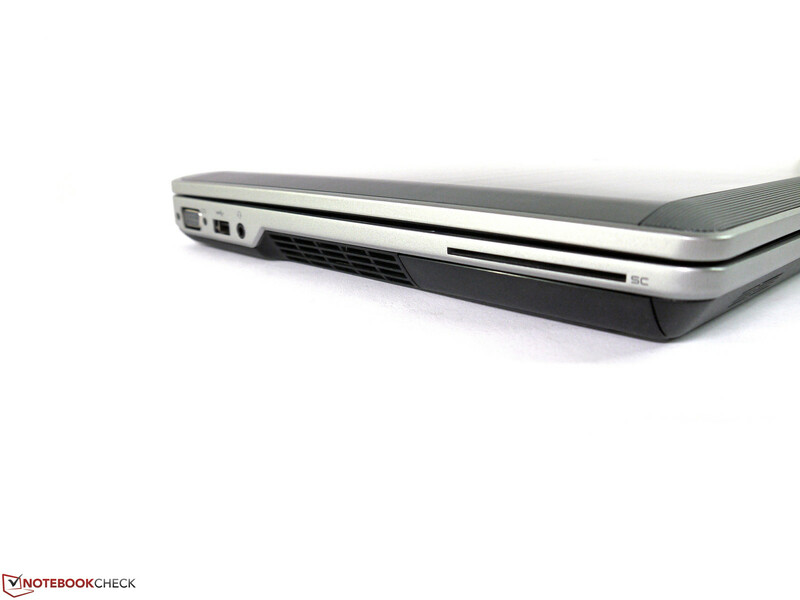 Dell's Latitude E6530 comes without any extra accessories. 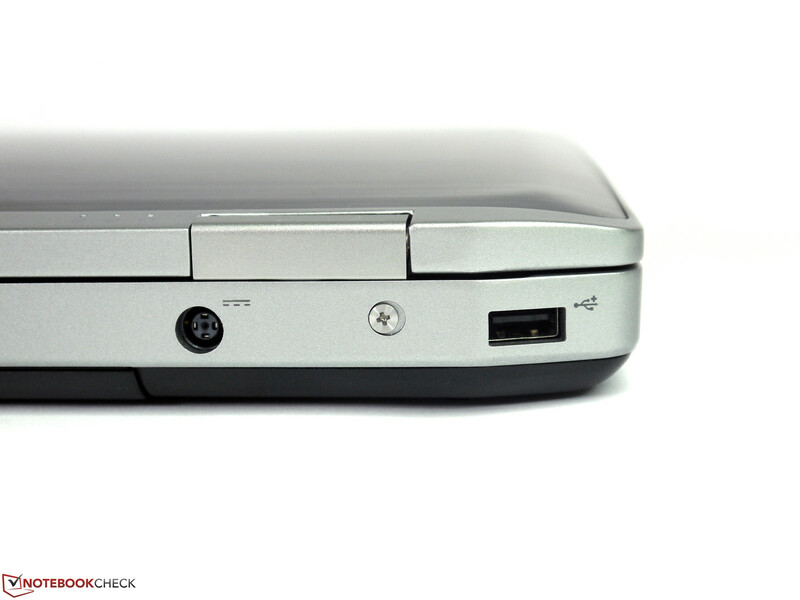 Various MultiBay expansions for the optical drive slot, docking stations and additional batteries are available as options. The bottom cover can be detached by removing a few screws and thus allows access to the main components. But things are not as easy and quick as with many other rival models. Even for the replacement of the RAM modules one must remove the whole cover. There are no individual panels. 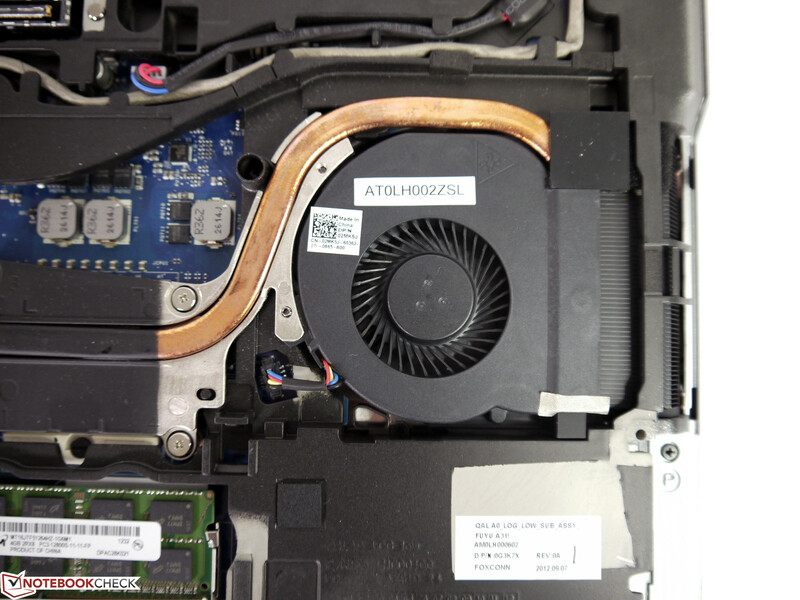 After detaching the maintenance cover, the fan can be reached and cleaned if necessary. One RAM slot is free and makes an upgrade possible. The hard drive is in a separate module that is held by two screws. Here, the removal of the bottom plate is not necessary. The optical drive is a modular one and can be interchanged with other drives or a MultiBay battery. 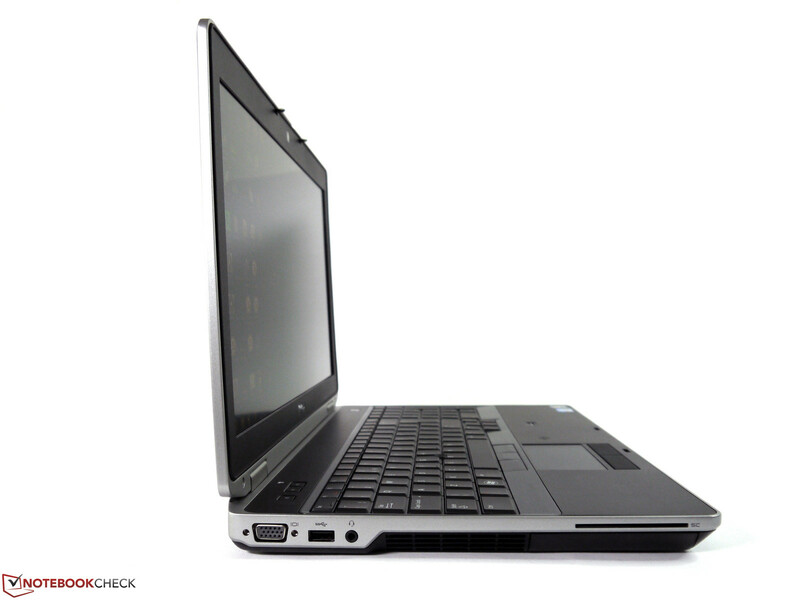 The Dell Latitude E6530 comes as standard with a 3-year Next Business Day warranty. Except for the Pro Support option, there are currently no other warranty extensions available. 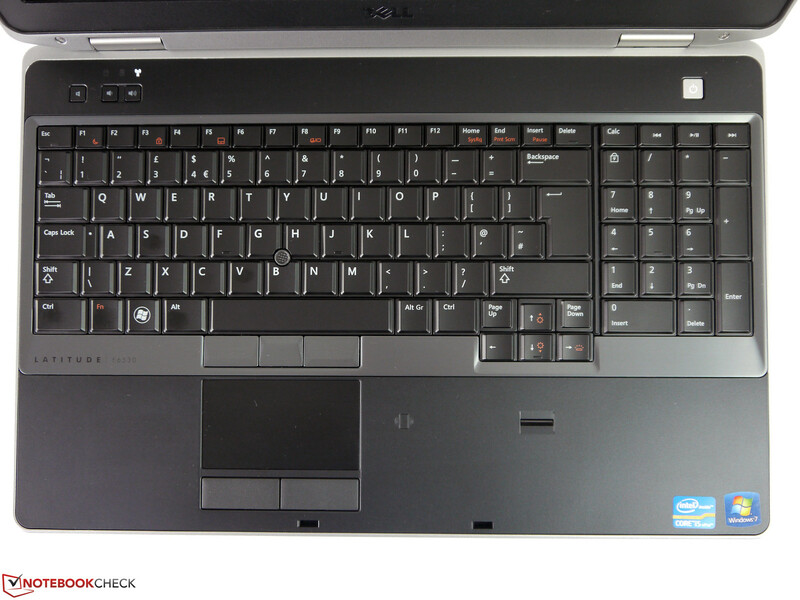 The keyboard of the Dell Latitude E6530 takes up almost the entire length of the notebook and has 19 mm (0.74 inches) keys. 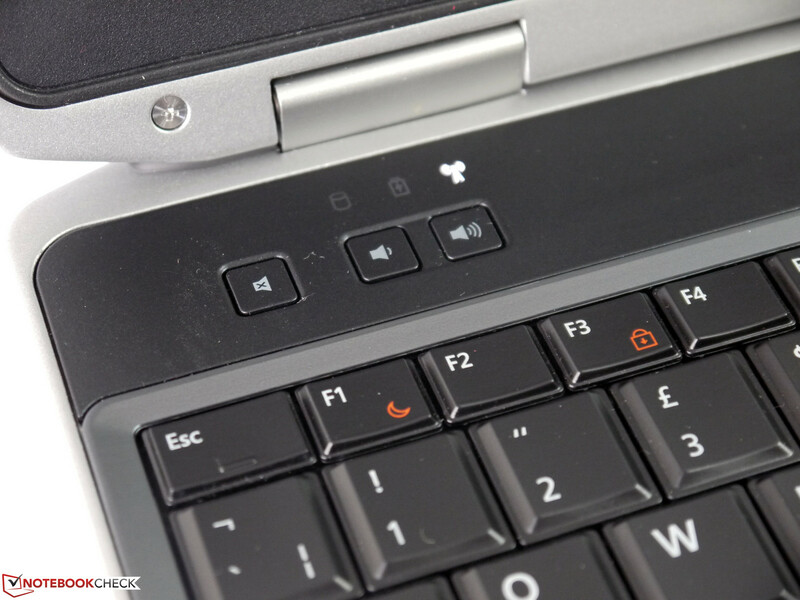 The separate number pad, extended arrow keys and large Enter and Space keys allow a quick familiarization. The medium key travel, good tactile feedback and quiet key stroke will please ambitious writers. 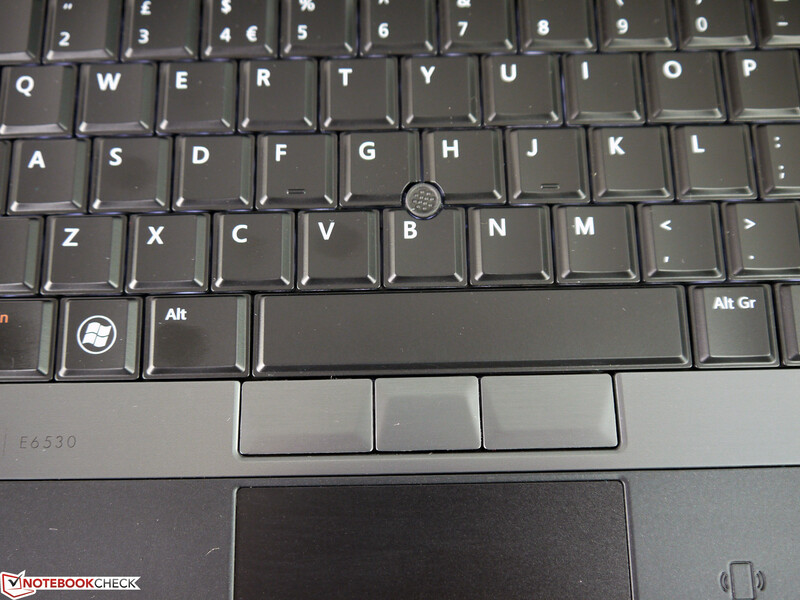 The keyboard base is solid throughout and shows slight wobbling only in the area of the arrow keys. Our test model came with an English QWERTY layout. The key caption is very contrasting and is further enhanced by the built-in backlighting. Its brightness can be increased in four steps. 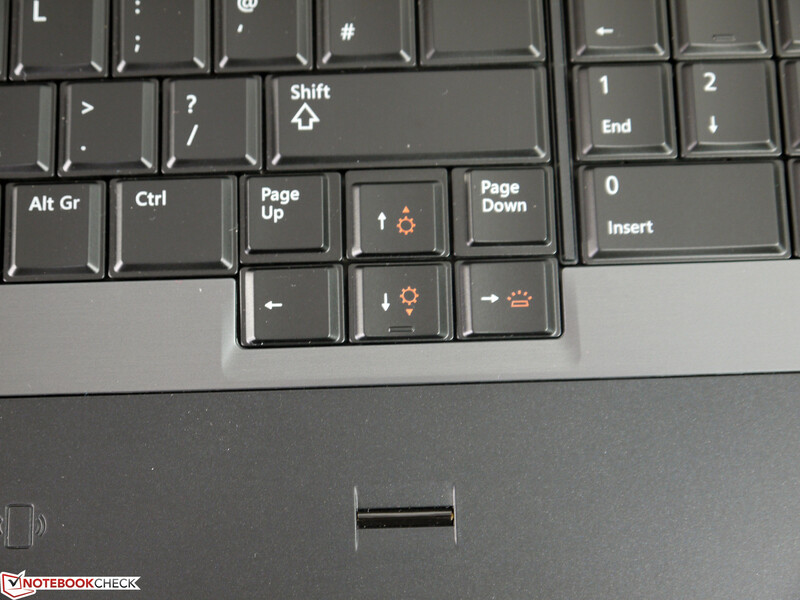 Further options are available in Dell's Keyboard Backlight settings. 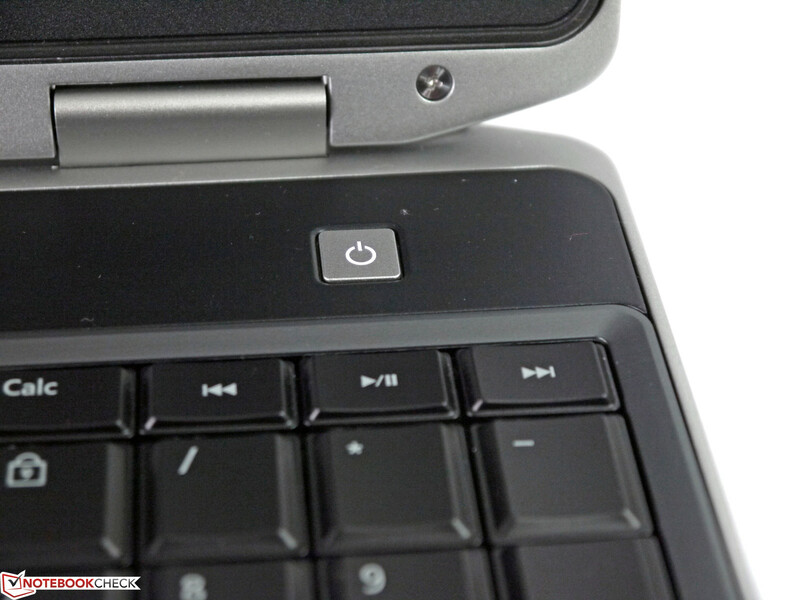 The keyboard backlighting is not a standard feature in the Latitude E6530. It comes at a surcharge of 33 Euros excl. VAT (~$45). The special symbols, such as display brightness increase/decrease, are painted orange and therefore are easily distinguishable from the standard captions. 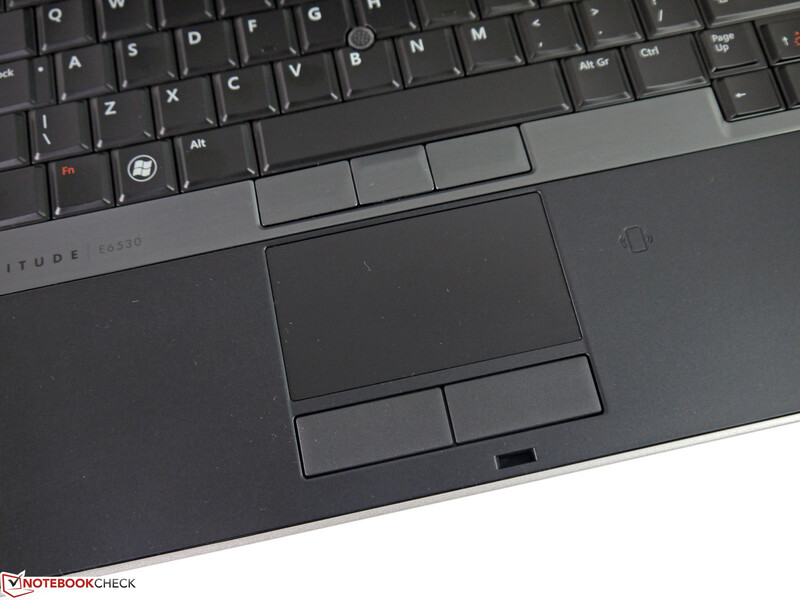 The Alps touchpad has a usable area of 80 x 45 mm (3.15 x 1.77 inches) and thus is sufficiently sized for all its functions. Still, some multi-touch gestures could do with a bit more space. 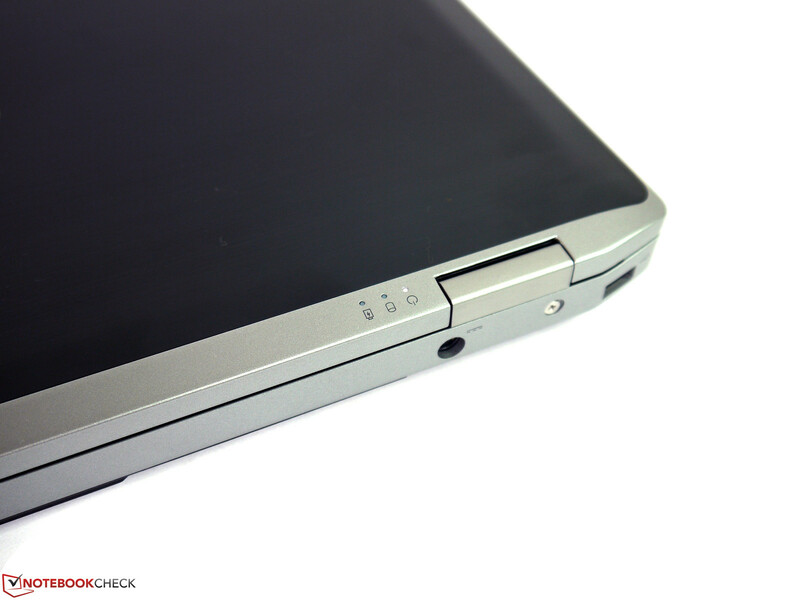 The gliding properties and the responsiveness of the touchpad are very good and are no cause for criticism. The usual multi-touch functions are supported and can be activated and deactivated separately as well. The mouse keys are slightly rubberized and have a very quiet stroke. Dell offers a variety of options in the Control Panel. 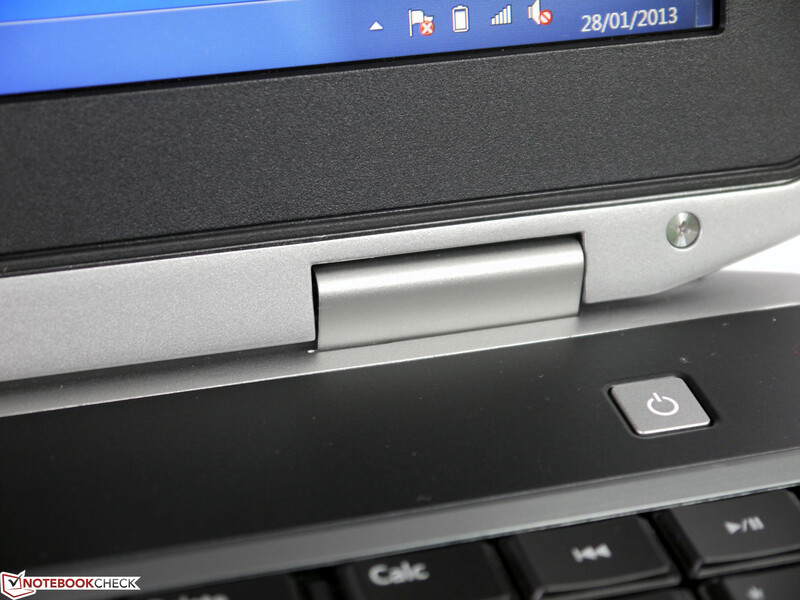 As is expected from a business class notebook, the Point stick is available as an alternative to the touchpad. For newcomers this input method may take some getting used to, but otherwise it allows for a very quick and precise cursor movement. The three corresponding buttons also work very quietly and register clicks well. 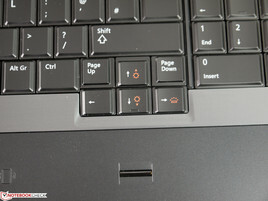 Alternatively, these can be given special functions or switched off completely when using the touchpad. 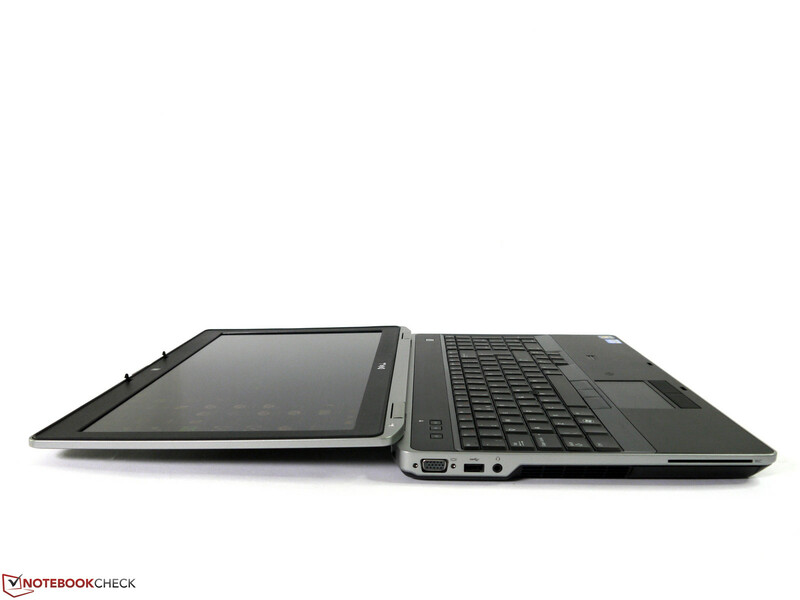 Dell offers the Latitude E6530 with three different displays. The entry-level model comes with an HD screen with a resolution of 1366x768 pixels. The middle version has 1600x900 pixels and Dell's Premium Panel Service (dead pixel warranty). The Full HD display, which we have in our test model, has a resolution of 1920x1080 pixels. It has the same Premium Panel Service and should also have particularly wide viewing angles. All displays are matte and have white LEDs for backlighting. In addition to the native resolution, our Full HD display has only a limited range of alternative resolutions. The first step down is 1280x1024 pixels. 1600x900 and 1366x768 are not supported. 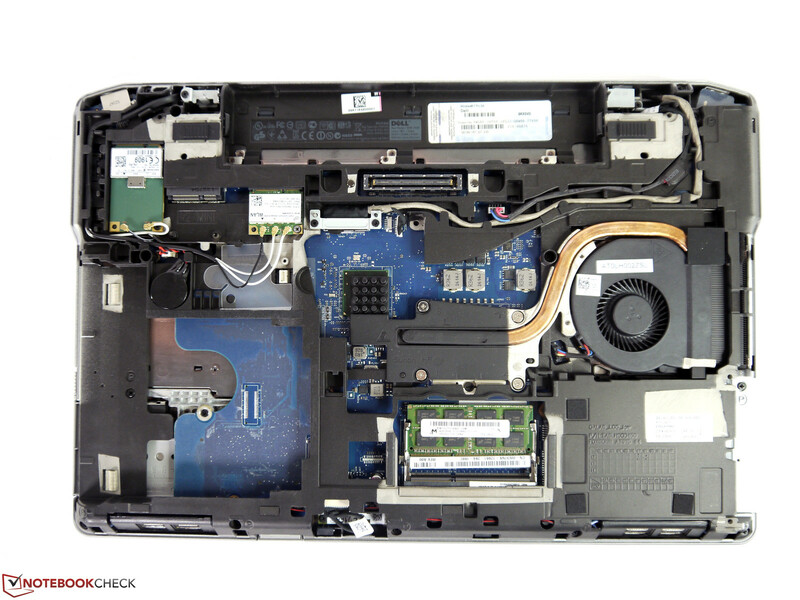 Our Dell Latitude E6530 comes with a panel made by LG-Philips and has a maximum average brightness of 278 cd/m². That is a bit lower than the predecessor Latitude E6520. Although the brightness distribution of 87% is also a bit lower than the previous model, a naked eye can vaguely recognize this on a monochrome image. The brightness can be adjusted through 15 levels. Level 7 corresponds to about 158 cd/m², which is sufficient for most indoor conditions and is regarded as ergonomic. For outdoor use, the maximum brightness is available on battery power as well. 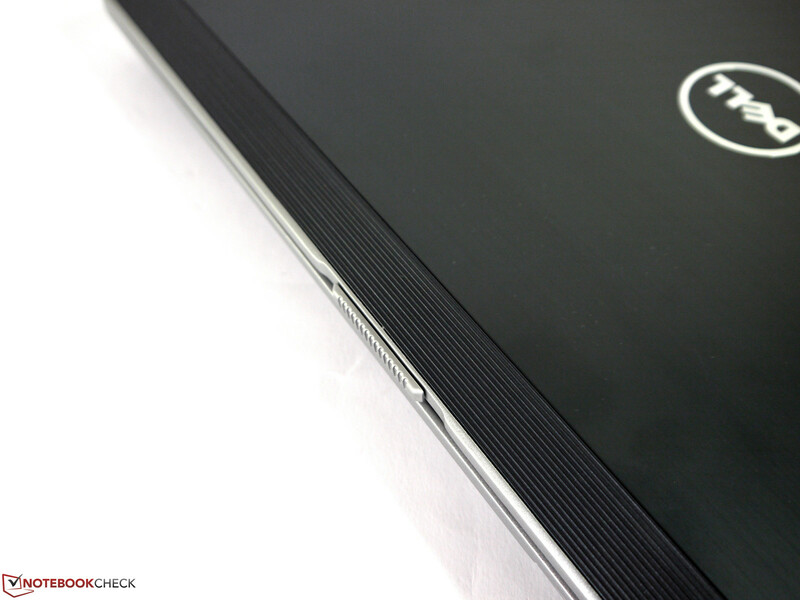 The matte surface and good contrast provide good usability out in the open. The measured contrast ratio of 564:1 is significantly better than most entry-level notebooks. The colors are rich and provide a more realistic reproduction of photos, movies and games. 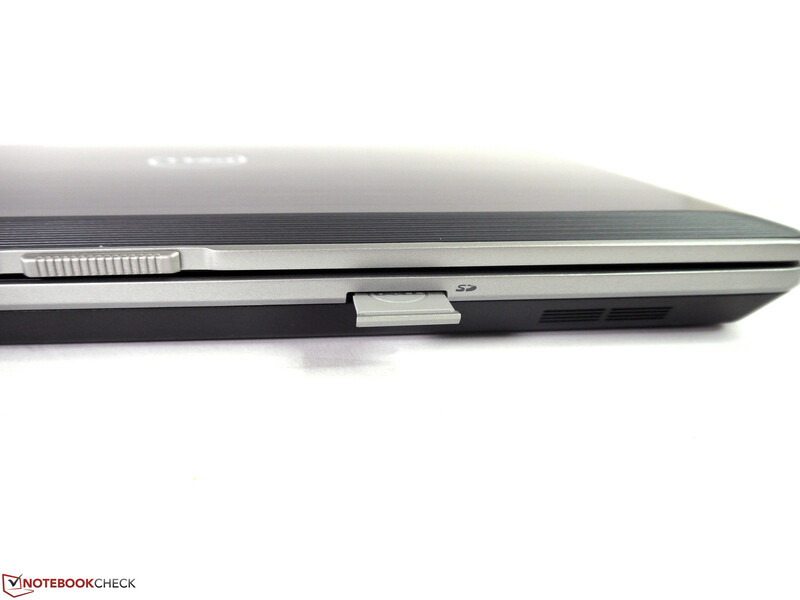 Displays with an IPS panel, like the Fujitsu Lifebook T902, still perform better in this regard. The color reproduction is above average, although the display only covers about 85% of the sRGB color space. The color accuracy in uncalibrated state shows relatively high deviations. This applies to the gray scale and the color saturation. The real potential of the display is realized only after calibration. Except for red, all colors are on the spot. The red is a bit faint, which is a frequent observation on many displays with white LEDs, and gives the screen a slight blue tint. Compared to previously test displays, this is a very balanced panel that has a relatively accurate color reproduction for a notebook. The viewing angle stability of the TN panel is visibly better than that of most cheaper displays, but is still not up to the wide angles of an IPS panel. Although horizontally there are hardly any color or brightness changes, when the display is tilted far backwards one can easily recognize color inversions. Tilting the display forward leads to colors fading. Both effects are in the acceptable range and do not lead to severe image alterations. 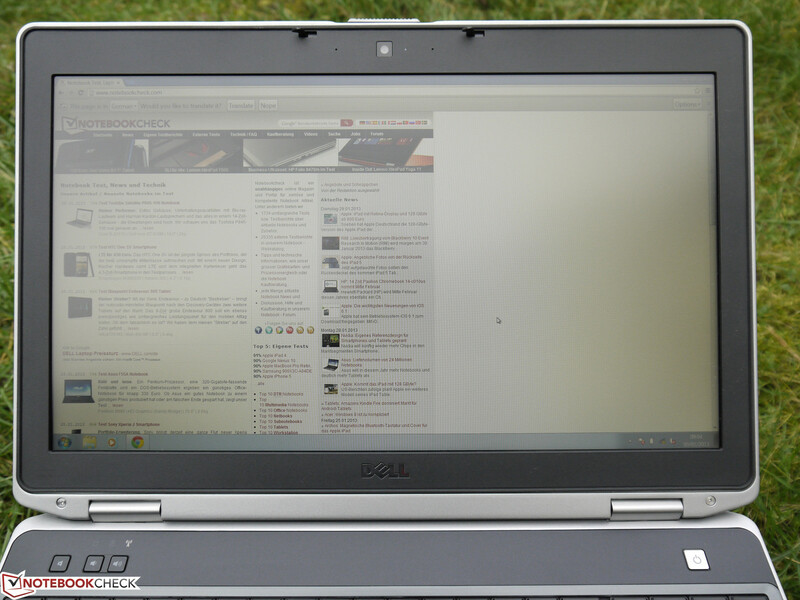 Overall Dell has equipped the Latitude E6530 with a good Full HD display. It impresses us with a matte surface, high brightness and contrast, and an above average viewing angle stability. 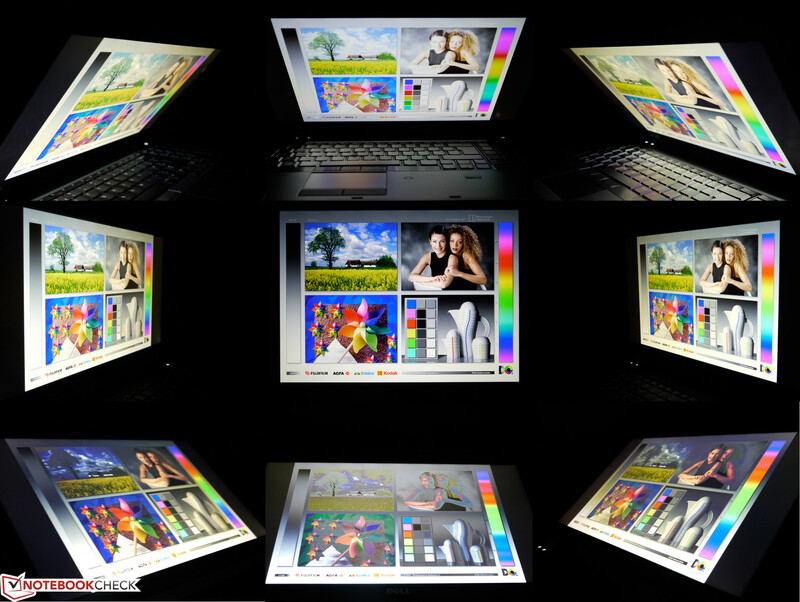 The color reproduction after calibration is on the expected level for a screen with white LEDs. Image processing is rather limited, because color accuracy and viewing angles do not meet all of the professional requirements. The hardware equipment provides a good standard, which should have enough performance reserves for most applications. 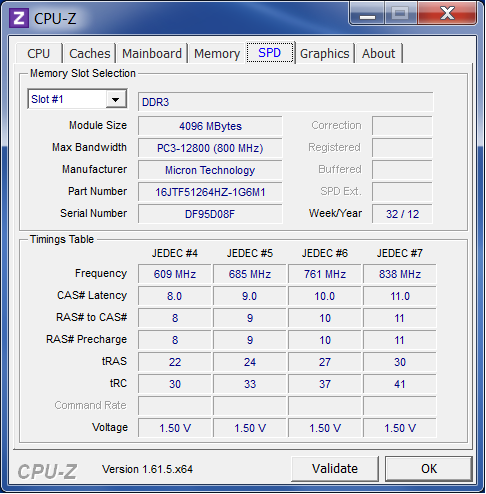 Intel's Core i5-3360M processor is used for both the computations and graphics. The integrated Intel HD Graphics 4000 is not accompanied by a dedicated graphics card in our test model. 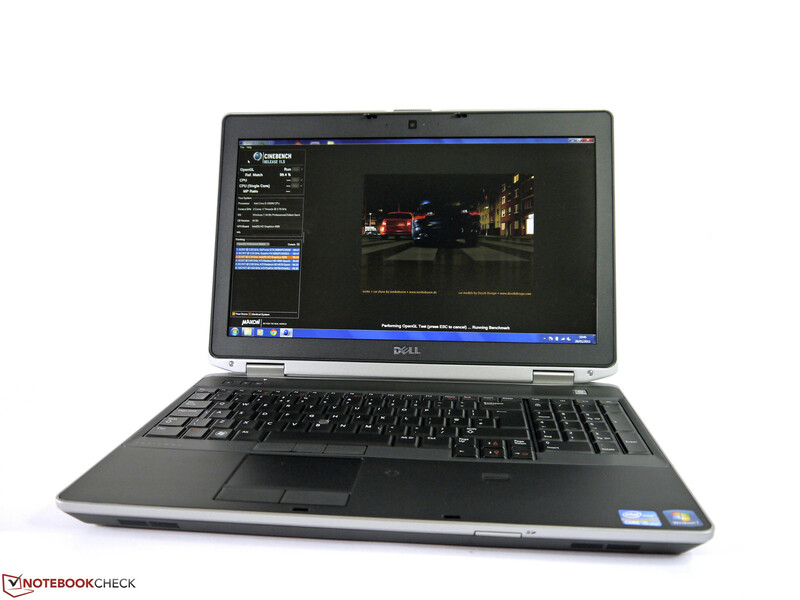 Alternatively, the Dell Latitude E6530 can be equipped with the Nvidia Quadro NVS 5200 graphics card that features Nvidia Optimus. The other key components are Intel's QM77 chipset, 4 GB of RAM and a conventional 500 GB hard drive. As is usual for Dell, the configuration options are extensive. In addition to the Nvidia Quadro NVS, the customer has a choice of different CPUs up to the Intel Core i7-3720QM quad-core processor, 8 GB of RAM and a 512 GB Solid State Drive. 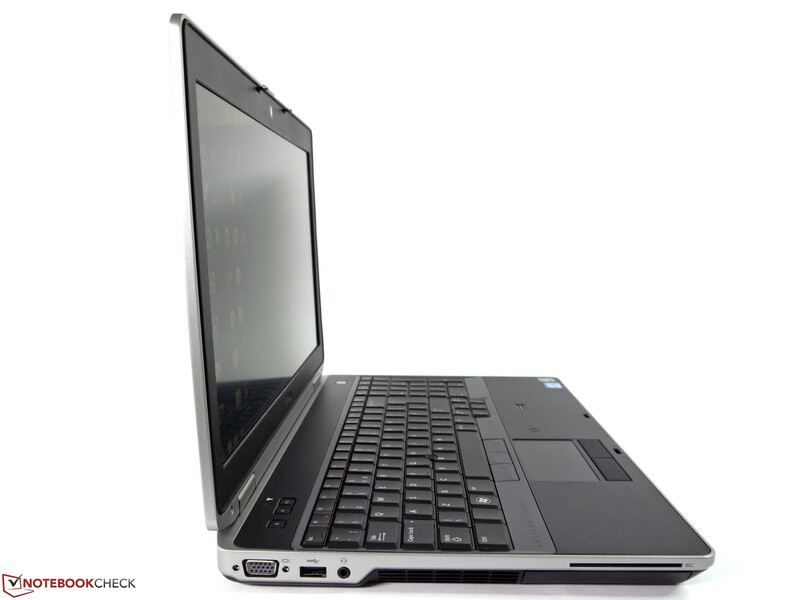 With all these options ticked, the price of the Latitude E6530 can reach 2400 Euros (~$3246) excl. VAT. 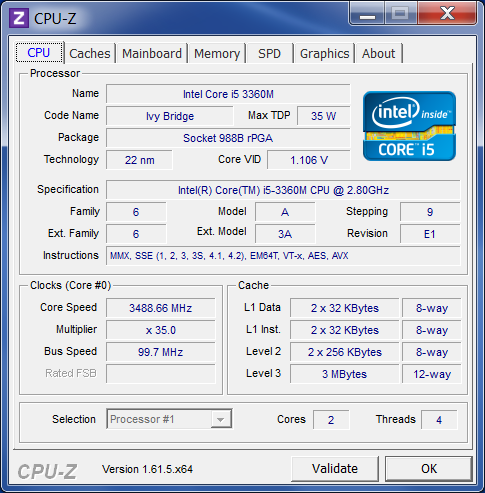 The dual-core Intel Core i5-3360M has a base clock frequency of 2800 MHz, which can be increased up to 3600 MHz in single-thread operations thanks to Turbo Boost. Intel's Hyperthreading technology provides optimized performance for software that is capable of using multiple cores. 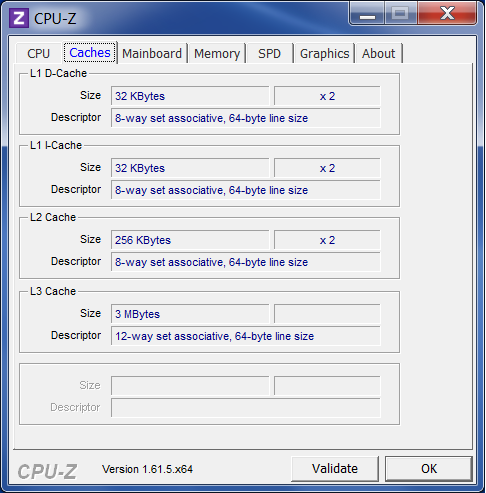 In addition to the two physical cores, the CPU is able to address two virtual ones making a total of four threads available. In our extensive CPU Benchmark list the Intel Core i5-3360M is at number 31 in the ranking of all notebook processors. The results of the Cinebench R10 64-bit are 6027 points (single-core) and 12,217 points (multi-core). The SuperPi 32m benchmark (single-thread) was completed in 599 seconds and the wPrime 1024m (multi-core) - in 467 seconds. A realistic single-thread computation is the audio conversion via iTunes. Here, the measured speed of conversion from MP3 into AAC was 50.4x. A practical multi-core benchmark is video conversion via Cyberlink's MediaEspresso. Utilizing only the CPU, the transformation of our test films took 176 seconds (Big Bug Bunny) and 232 seconds (Elephants Dream). Our test model scored 2951 points in PC Mark 7 and 8320 points in PC Mark Vantage. The system performance is enough for many tasks, but could be considerably increased by removing two bottlenecks. One weak point is the system memory. In our test model only one 4 GB module was installed and dual-channel was not active. Because of this, the memory works at a lower speed and the graphics chip is also impaired. 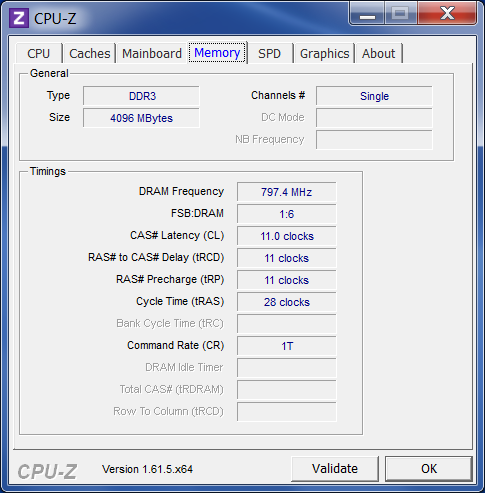 The latter uses the RAM as a shared memory and is thus dependant on its performance. The second weak point is the hard drive. A Solid State Drive has significantly better access times, read and write speeds and will have a positive effect on the daily tasks. The conventional Seagate hard drive has a capacity of 500 GB and works at 7200 RPM. The maximum transfer rate is 112 MB/s and the average remains at 90 MB/s. These are rather good results for a conventional hard drive, but cannot really keep up with Solid State Drives. 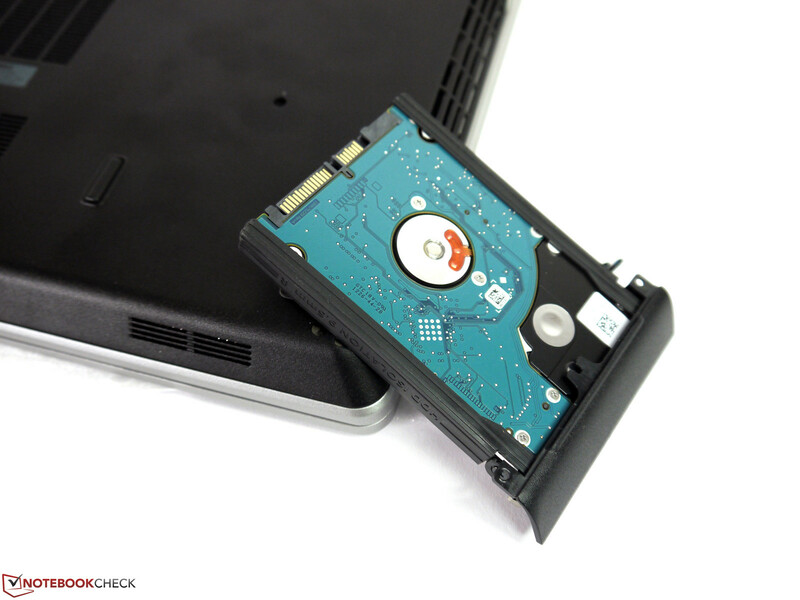 Further benchmark results can be found in our extensive comparison list of laptop hard drives. 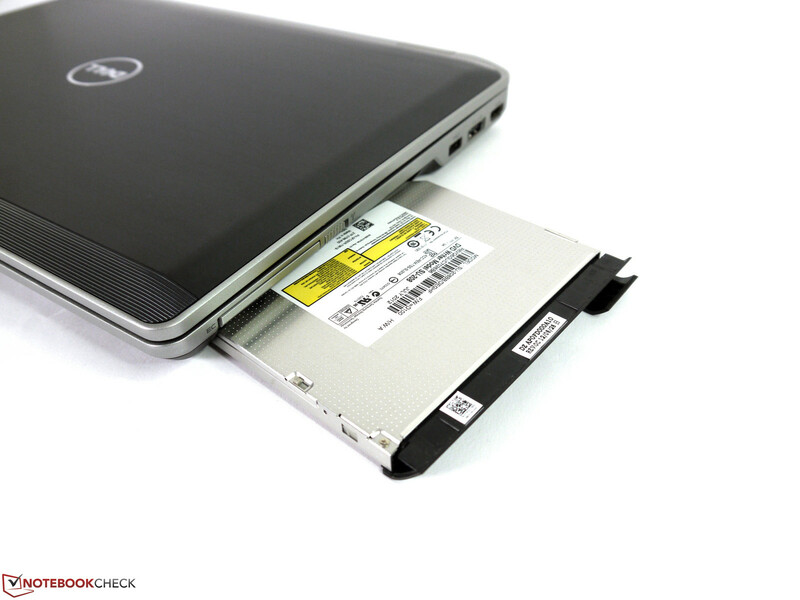 Alternatively, the Dell Latitude can be configured with higher capacity hard drives or fast Solid State Drives. 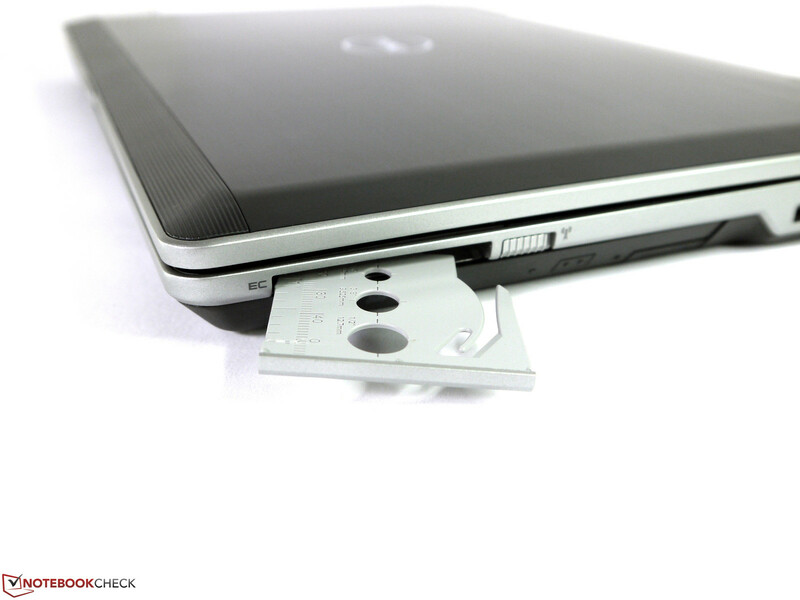 The optical drive can also be replaced with another storage device. The UMTS slot (full size miniPCIe) does not seem to support the mSATA standard. 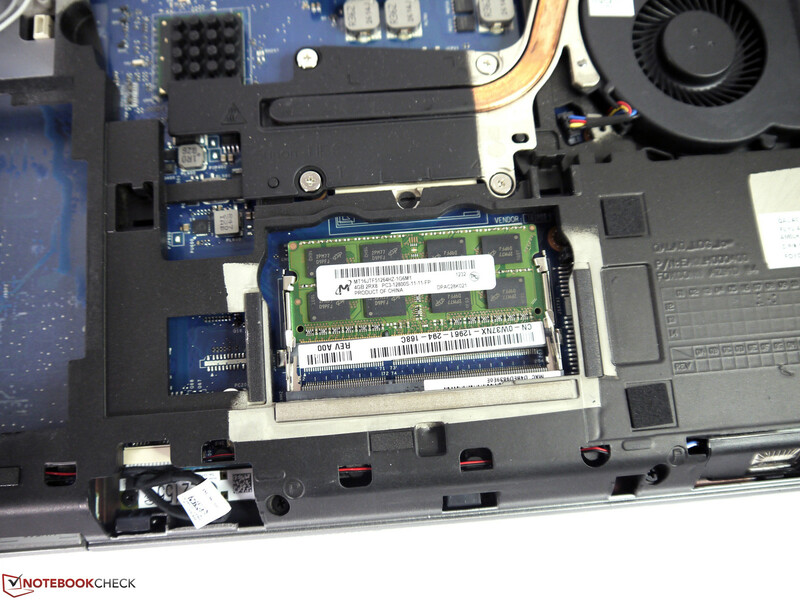 The Crucial M4 mSATA SSD could not be recognized and therefore cannot be used. The Intel HD Graphics 4000 has sufficient power to quickly handle a wide range of tasks. Unfortunately, the graphics chip is less suitable for demanding 3D programs and can only meet the most basic of requirements. As we already mentioned, the graphics card is impaired by the slow system memory. The result of 3D Mark 11 was 619 points, 3D Mark Vantage - 3010 points and the Cinebench R10 OpenGL Shading score was 5454 points. Replacing the 4 GB module with two 2 GB ones increases the score to 701 points in 3D Mark 11, 3728 points in 3D Mark Vantage and 5863 points in Cinebench R10 OpenGL Shading. This is an increase of 8 to 20%. 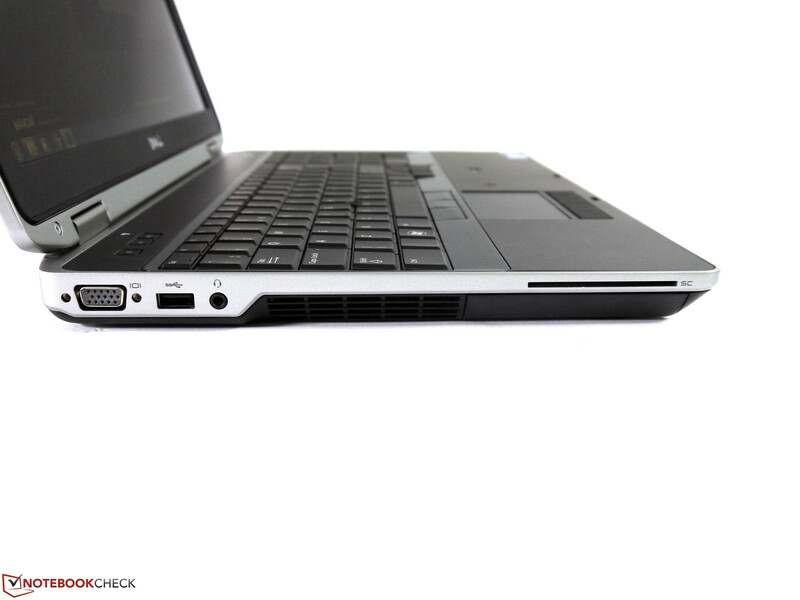 The gaming performance of the Latitude E6530 can be described as low. Smooth frame rate is achieved only at lower resolution and details. The playable resolution of 1366x768 pixels is not supported on either the integrated display or an external one. The same is true for the 1600x900 resolution. The next alternative available is 1280x1024 pixels. The relatively high operating noise of 32.1 dB(A) in idle state is caused by the high-RPM Seagate hard drive. In this case the fan works quietly or not at all. Replacing the hard drive with a quieter one or a Solid State Drive will significantly decrease the noise level in idle state. 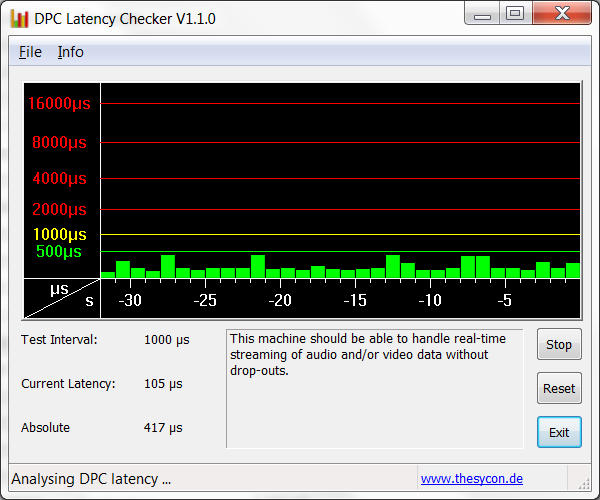 33.1 dB(A) is reached when the hard drive is working hard and DVD playback causes an increase to 35.7 dB(A). This can be a bit disturbing during quiet movie scenes. Under medium load (Quick Sync conversion for example) the noise level reaches 40.3 dB(A) and under full load (utilizing the CPU for conversion) we measured 43 dB(A). These are relatively good values, but in view of the noise in idle state, do not showcase the full potential of the notebook. Heat emissions are below critical in every load scenario. The absolute maximum of 38.4 °C was measured above the left air vent. This means that use on the lap is possible even during demanding conversion processes. Under medium to low load, the casing temperature drops to about 33 °C on the bottom side. Dell's energy profiles provide a way to control these temperatures by allowing the user to choose between a very low operational noise or particularly cool case surfaces. (+) In idle usage, the average temperature for the upper side is 30.4 °C / 87 F, compared to the device average of 29.4 °C / 85 F.
The two speakers are located at the front of the notebook and are angled slightly towards the desk. They provide a rather high-heavy sound. The mids and the bass are very weak. The speakers tend to distort the sound at high volume levels. 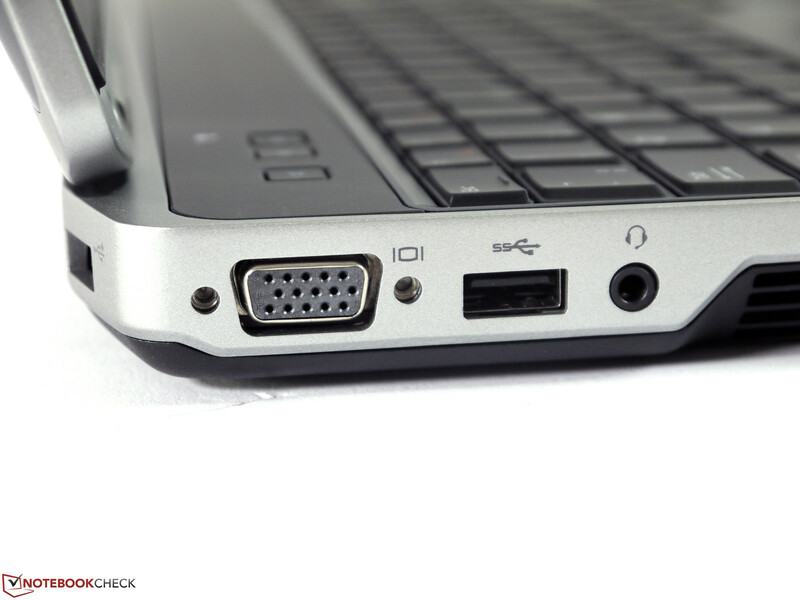 External speakers can be connected via the USB port or audio jack. The combo audio jack requires an adapter if the headset uses two separate in/out cables. 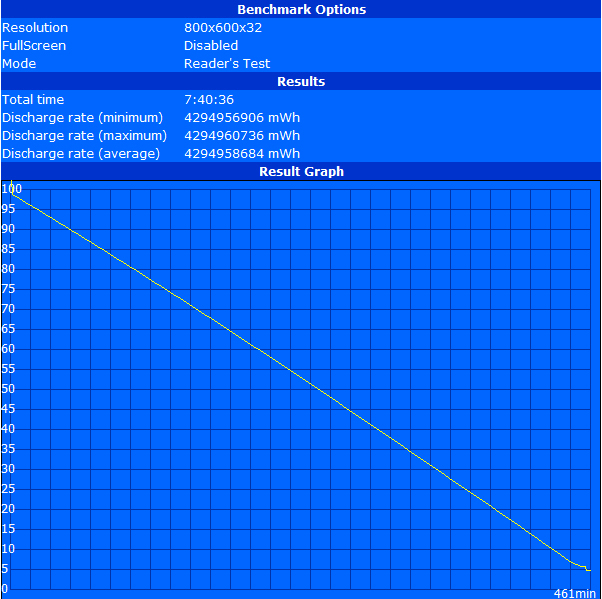 The energy consumption of the Dell Latitude E6530 that we measured was between a minimum of 8.4 W and a maximum of 56.5 W. The realistic consumption, with activated wireless functionality and display brightness at almost 160 cd/m², was about 13 W. In relation to the hardware components, these values are on the expected level and are not any way unusually high. 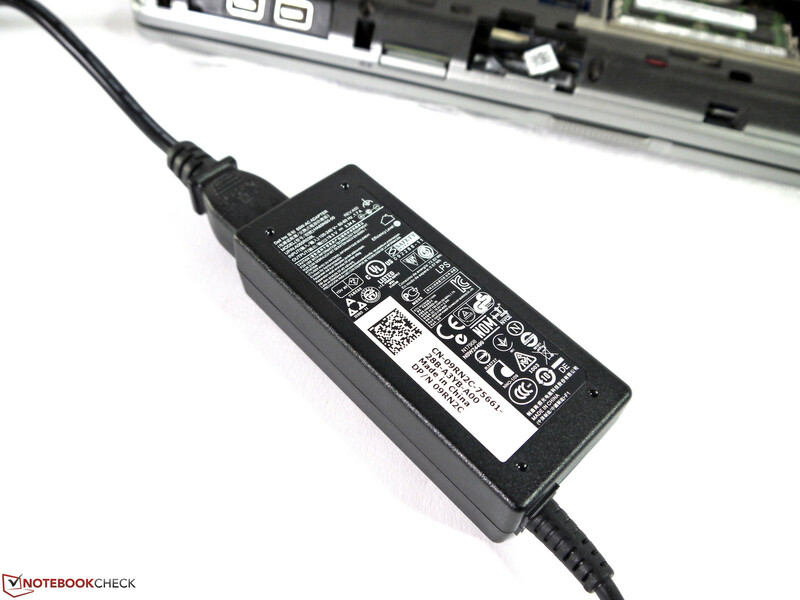 Crucial to the practical working time without a power supply is the battery capacity. 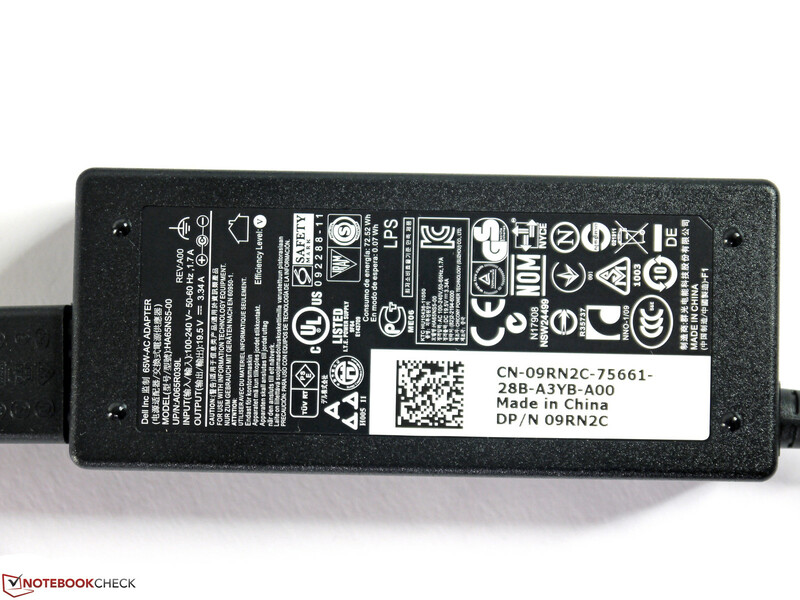 Our test model is equipped with a 60 Wh one. 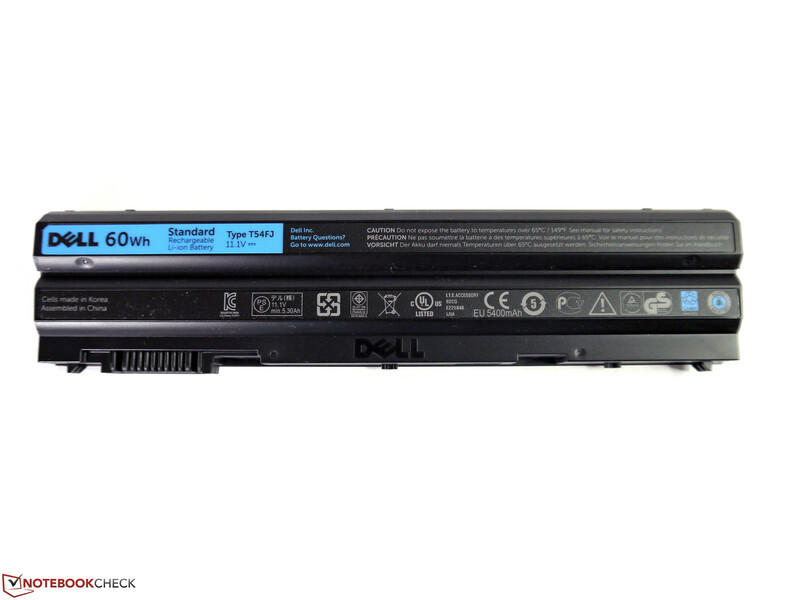 Alternatively, Dell offers 5 different battery options. At the time of this review though, only the 97 Wh and 87 Wh batteries with 3-year warranty were available in Dell's online shop. The small 40 Wh battery, the 30 Wh Modular Bay battery and the 97 Wh extended battery are not configurable in the online shop. The measured battery runtimes allow a network-independent work time of about 4 to 5 hours. With Battery Eater Reader's test (minimum brightness, energy saving profile, wireless modules off) we measured a maximum of 7 hours, but because of the low brightness and deactivated wireless modules this is an impractical test. In the WLAN test (brightness set at 158 cd/m², energy saving profile, activated wireless functionality) we reached a much more realistic run time of almost 5 hours. DVD playback (maximum brightness, energy saving profile, wireless deactivated) is possible for a maximum of 4:28 hours. The Battery Eater Classic Test (maximum brightness, high performance profile, wireless activated) was over after 83 minutes on the Latitude. 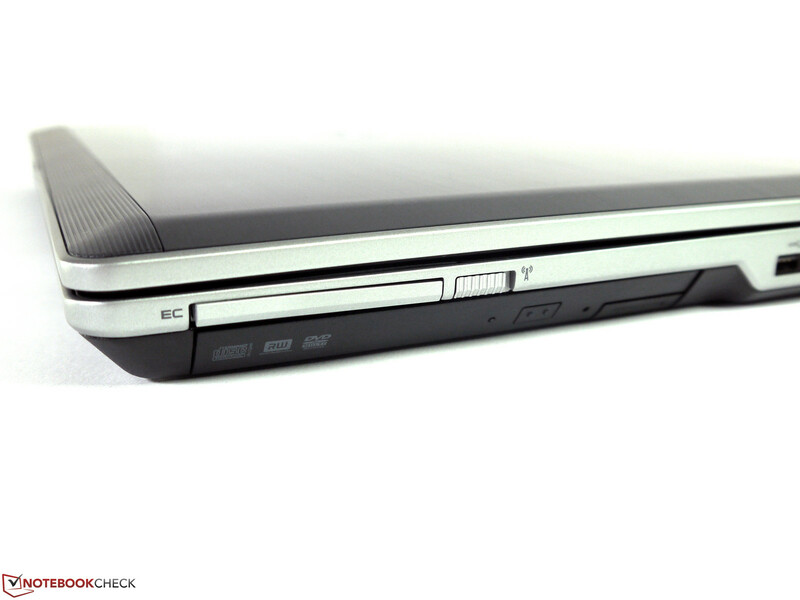 The Dell Latitude E6530 is a typical representative of the business premium class. Parts availability, a long warranty and multiple configuration options are exactly the qualities that business users expect. Of course the quality of the case, the materials used and the application performance are all on the expected level. 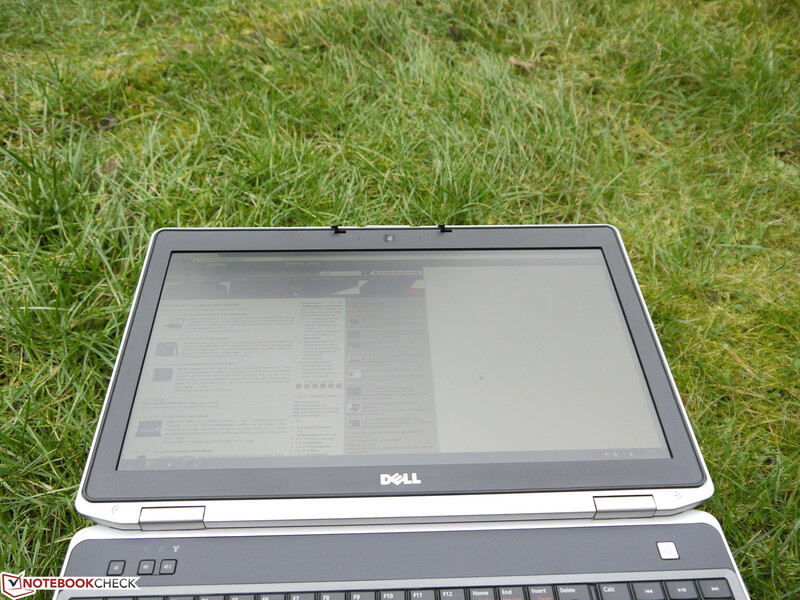 Dell has implemented all of that very well in the Latitude E6530. The interface configuration and positioning is almost impeccable. The keyboard is very good and even has a backlighting in our test model. Although the display does not score top points in all areas, it impresses with a high brightness, good contrast ratio and wide viewing angles. Somewhat cumbersome is the access to some hardware components. In addition, our test configuration remains below its potential in the areas "noise level under low load" and "performance capabilities". The conventional hard drive and slow system memory impair our system. 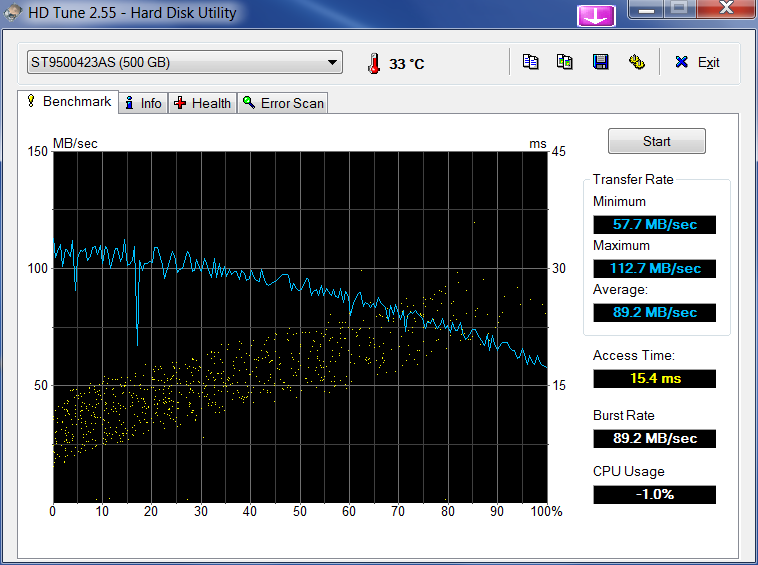 On top of that, said hard drive also causes increased noise level under low load. 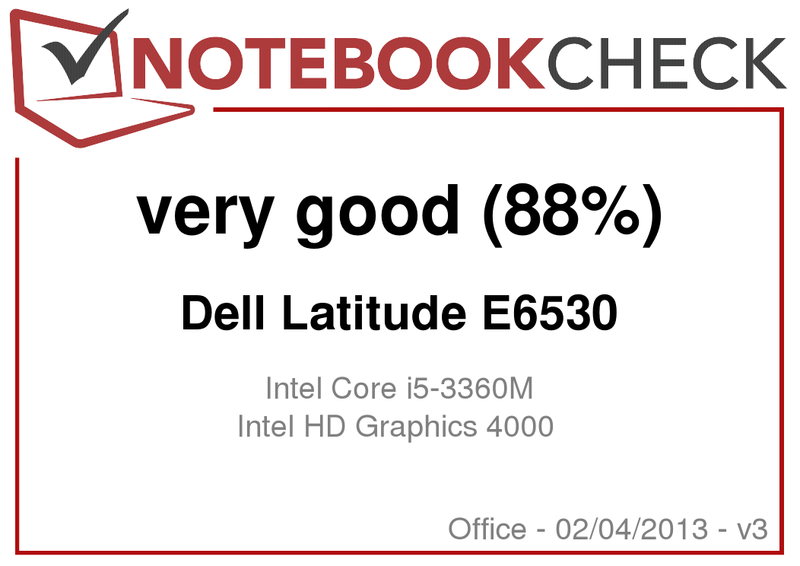 In addition to the typical business features, the Dell Latitude E6530 impresses most with its consistent good to very good scores. The minor weaknesses of our test model can easily be circumvented by a change in the configuration. But you cannot get around the very high price that precisely takes into account the value of the specific business features and equipment details. 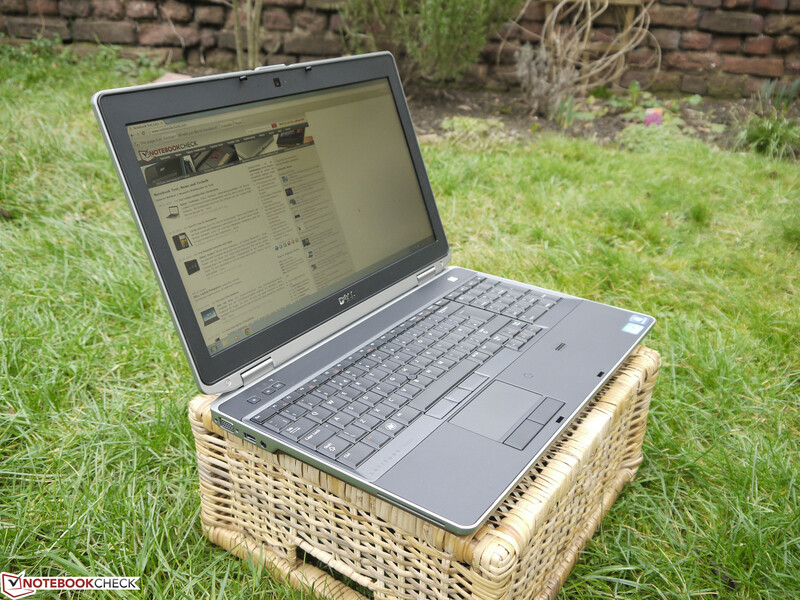 The Dell Latitude E6530 is a premium notebook. The card reader is easily accessible. The optical drive can be replaced with other modules. The mechanism is very user-friendly. 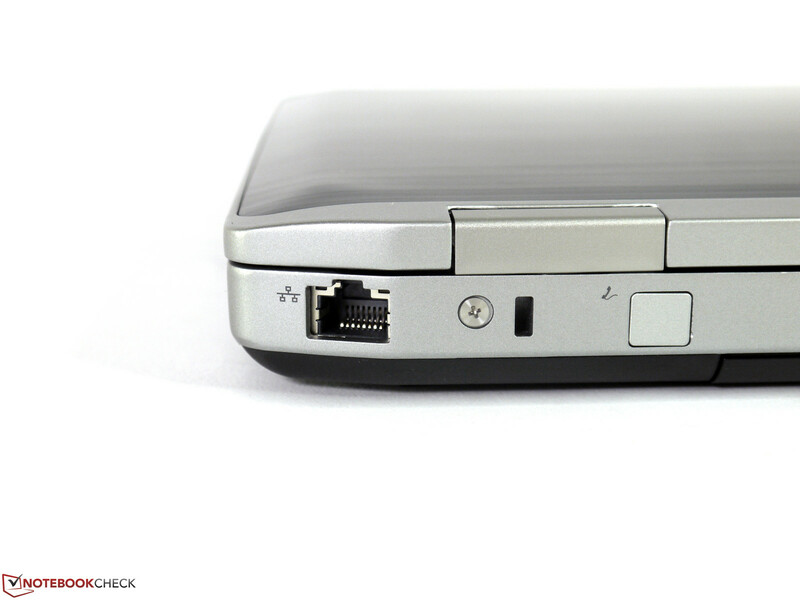 Any missing ports can be upgraded via the ExpressCard slot. ExpressCards/34 and ExpressCards/54 are supported. An eSATA port is still a rarity. The modem port is optional. The USB port on the back has a charging function. The hard drive is easy to reach. The battery has a capacity of 60 Wh. 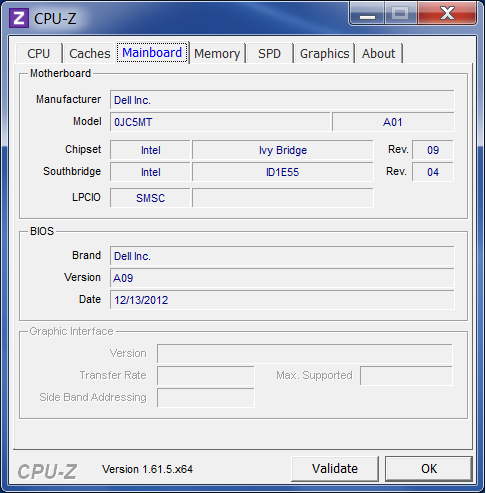 ....allows access to hardware components such as the RAM slots. The UMTS slot did not recognize our mSATA SSD. The power supply is rated at 65 W.
The power connector is not angled. The display hinge cannot completely prevent teetering. It is specifically designed for the business sector. 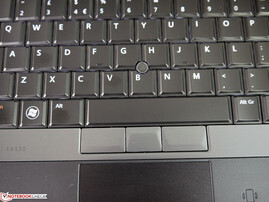 Some of the features can be found only in business laptops. The casing materials make a good impression. The hardware components are not advertised on our test model. The interface equipment is extensive. 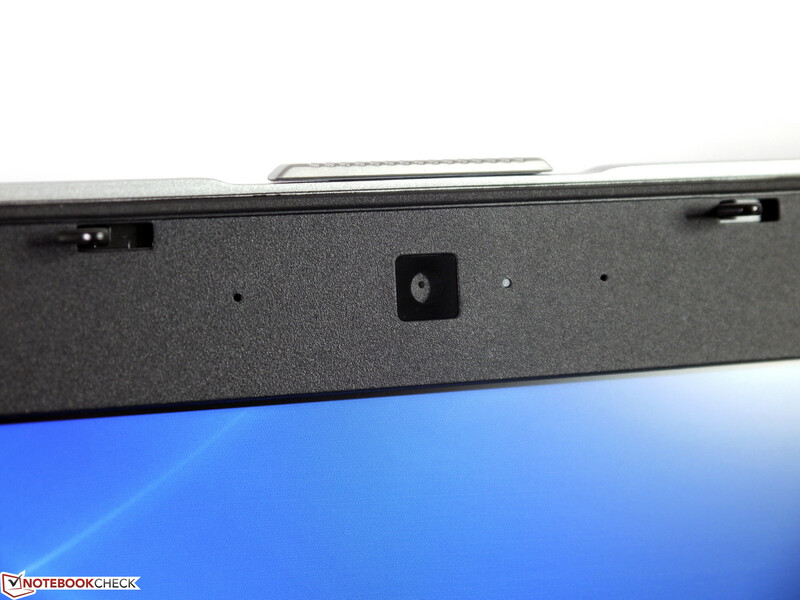 The ports are well positioned. A Smart Card reader is also on board. The air vent reached a maximum of 38 °C. The display can be opened to 180 degrees. ...and looks well on the dark gray background. The fingerprint scanner is available only with a surcharge. More status LEDs are located at the back. Even the webcam costs extra. Configuration options, quality and capabilities are well tuned to the business user. Professional image editors would prefer a display with better viewing angles and color reproduction. Some components and upgrades are not available in the online shop.